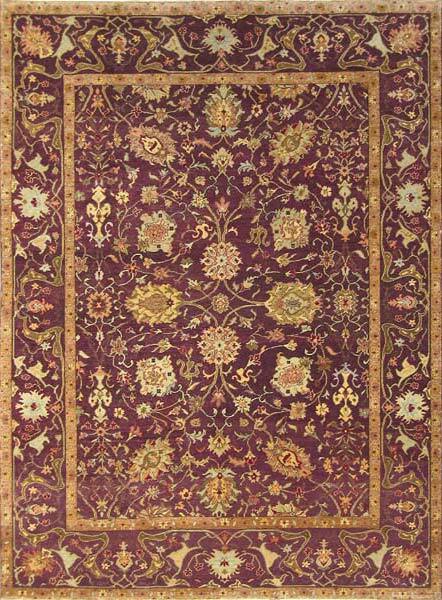 Classic Mahal design hand knotted in Armenia in a deep eggplant, very fine weave. SKU: 29624. Category: Classic Traditional. Tag: 6x9.